If you think one day of the month can’t hurt your diet routine, then you might want to rethink how many calories you burn at the gym on an average day. If you burn 500 calories at the gym each time you go and it takes 3, 500 calories to burn 1 pound of fat; then it will take you 7 days to lose one pound. If you go to thanksgiving and eat an excess of 2,500 calories (the average calories consumed during thanksgiving dinner not including seconds) then you just ate back your whole week of exercising. Basically, if you go overboard during this one meal then it’s almost as if you had never worked out or decreased your calories during that whole week. Still, there’s lots of potential for making Thanksgiving dinner lighter and much more healthful. Turkey is one of the leanest meats around. Both sweet potatoes and pumpkin pie are great sources of beta carotene. White potatoes, even if they’re mashed and served with gravy, aren’t a bad source of potassium. Baste the bird with de-fatted chicken or turkey stock. You can buy fat-free broth, or put regular canned broth in the refrigerator and scoop out the “clumped up” fat before using the broth. You can make your gravy with fat-free broth and milk, too, or just buy fat-free gravy off the store shelf and use it (if store-bought gravy is permissible at your Thanksgiving table). Use nonfat milk and skip the butter as you mash potatoes. Prepare sweet potatoes with little or no marshmallow cream, butter or brown sugar. Or, try a brand-new recipe, baking sweet potatoes in a casserole with some diced apples and raisins, with a little butter spray for flavor. Make your own cranberry relish or “salsa” instead of serving the high-sugar variety. You can find low-sugar recipes in your newspaper’s food section, in home or food magazines, and on the Internet. At the table, enjoy the turkey without the turkey skin. 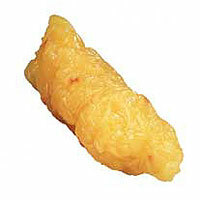 The skin is where almost half the fat resides. Reduce calories in pumpkin pie by using non-fat evaporated milk instead of cream in your recipe. Finally, get outdoors and take a walk, either before or after dinner — or both. A little physical activity is always a good idea (source). Don’t let one day ruin your next couple of weeks. Fill up on healthy foods and get out and get some exercise instead of sitting on the couch watching football and eating.